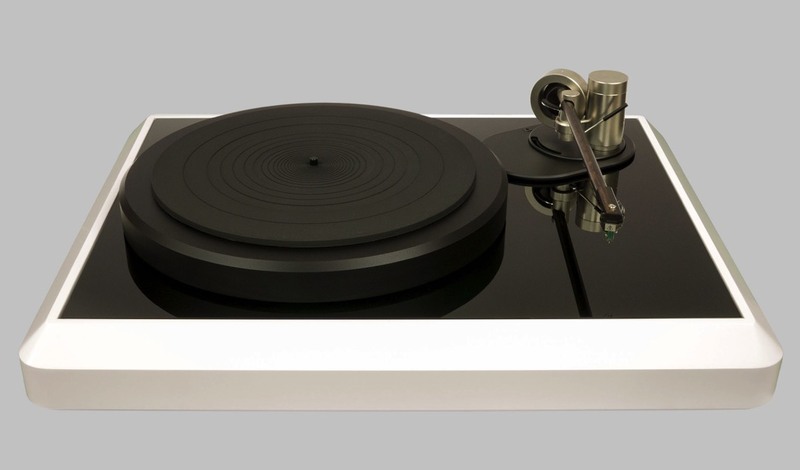 The direct drive turntable is since years a highly underestimated technology. After the market was flushed with tons of cheap direct drives high torque turntables in the seventies and eighties, this drive method almost completely disappeared from the High End market. Quite wrongly, as we think. The PrimaryControl Kinea Turntable brings the direct drive low torque technology back on stage and lifts it to new heights. Coreless Direct Drive Turntable with low torque brushless air core motor to minimise the magnetically motor cogging effect. Start up routine for 5 seconds with high torque. The electronic regulation allows variable torque settings. 360mm diameter platter mass loaded perimeter for increased flywheel effect. Internally, a five layer compound material is used. Armboard for 9 to 13 inch tonearms. Dimensions and weight: 600mm x 480mm, 35 Kg. The PrimaryControl Kinea Turntable challenges the perception of time and timelessness rather than focusing on fashion or zeitgeist. Right away from scratch it appeared to be distinctly, that we will orientate our blue print to the classical turntable design of our youth. The 360mm measuring oversized platter reminds at early studio and broadcasting transcription turntables, transformed into modern time.